This story has been updated to include comment from Environment Canada on heavy rainfall events in the Windsor region. ... "we're getting 20 times more storms now than we were 20 years ago." However, Environment Canada says it has recently looked at the trends in heavy rainfall events and there were "no significant changes" in the Windsor region between 1953 and 2012. It appears that the interviewee based statements on an insurance industry newsletter. Excerpt. 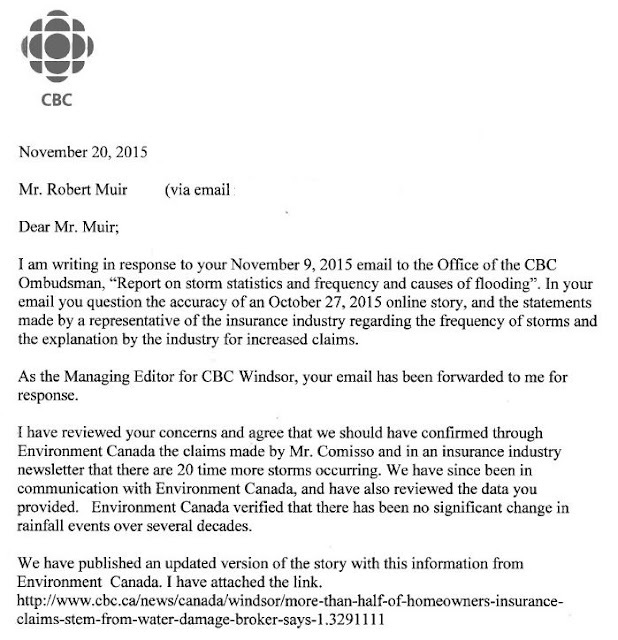 CBC response to complaint on storm statistics and frequency causing flooding. "The more storms Mother Nature dishes out, the more problems homeowners have with their sewers and basements. And with an increasing frequency of storm events, insurance companies serving homeowners in Windsor and Essex County are taking a harder line on what coverage they can offer and what their customers must pay to receive it." "On a statistical basis ... "we're getting 20 times more storms now than we were 20 years ago."" Well this embodies the quote about there being lies, damn lies and statistics, because the true statistics on rainfall frequency shows the opposite in Windsor-Essex, from whence many a Tecumseth tall tale teller hail. Environment Canada statistics show us decreasing intensities - i.e., REAL downward trends in annual maxima for rainfall volumes over a range of durations from 5 minutes to 24 hours. The cbcnews.ca data is available in the Government of Ontario infographic at right. Notice there is no real data there, no labels on the access, no data sources, nothing really. But it seems quite definitive with the exclamation point and all. 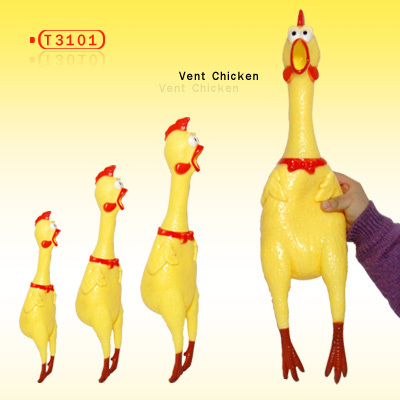 Further Government of Ontario climate data is available in the rubber-chicken graph below, because data does not matter to those who do not believe in evidence based policy, science, statistics, or informed decision making. Government of Ontario climate data. Oh my, it is getting big and scary just like the infographic and cbcnews.ca foretold!